It’s that time of the year again where the warm, summer days are waning and brisk, autumn mornings are prevalent. With the changing of the seasons, common colds are common place so it is important to try to prevent them as much as possible to perform and be the best possible version of yourself. To sum up what it takes to have a high functioning immune system, proper adjustments, eat healthy foods (avoid food sensitivities), and supplementation. 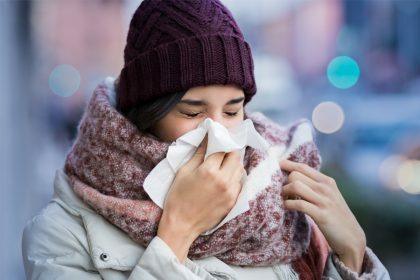 Before we get into how adjustments, food, and each supplement can help your immune system, we should first get a basic understanding of the immune system. There are 3 lines of defenses in the human body, which the goal of all of it is to prevent bacteria, viruses, and parasites (pathogens) out of blood to prevent damage to human body (pathogenesis). The first line is barriers to keep pathogens out, which consists of skin (oily and acidic to prevent pathogen adherence), mucous membranes (digestive tract), white blood cells (neutrophils), as well as stomach acid (extremely low pH). The second line of defense is the inflammatory response, which the goal of that is to stop the spread of infection if the pathogen was to get past the first line of defense. The general mechanism of the inflammatory response is the release of histamines, which cause increased blood to an area (vasodilation) to bring blood into an area, which means more macrophages to eat bacteria and interferons to chemically block virus replication. Signs and symptoms of the inflammatory response are redness, swelling, coughing, sneezing, redness, and runny nose. Finally, the third line of defense is specific cells that specifically attack the most pathogenic microorganisms to remove them from the human body using T and B cells. The B cells are responsible for creating antibodies and tagging the pathogen, while the T cells, which natural killer cells are a subset, are responsible for dissolving the pathogens. As a practitioner/clinic that focuses on prevention, I would make the argument that optimizing the first line of defense is the most important factor when it comes pathogen related illness prevention. The way to optimize the first line of defense is through adjustments, eat healthy foods (avoid food sensitivities), and supplementation as stated earlier. The way proper chiropractic adjustments can help is by stimulating the Vagus nerve as well as re-establishing bodily communication between areas of the body that weren’t able to communicate properly. The Vagus nerve stimulation is important in that it controls most of the digestive tract (up until the distal 1/3 of the colon- from there it is the sacral plexus that is responsible), which makes up 80% of the immune system (depends on the source you look at, but the human digestive system definitely makes up the majority of the immune system). There are many reasons why the digestive tract makes up 80% of your immune system, but a very important reason is that the digestive tract held together tightly, and doesn’t have any destruction to tight junction proteins (zonulin and occludin), which hold intestinal epithelial cells together. If there is destruction to those tight junction proteins, there’s a “leaky gut” situation that could happen where unwanted molecules (like lipopolysaccharides from Gram negative bacteria) given off by pathogens squeeze through those tight junctions and ends up going into the blood stream. As a side note, those same proteins, zonulin and occuldin, are also responsible for the keeping the blood brain barrier cells together- so if an individual has leaky gut, they probably have a “leaky brain” situation going on, which a common symptom is brain fog. Another very important role of the digestive tract is that it (as well as other mucous membranes) continuously secretes immunoglobulins (secretory IgA) that protect the digestive tract from toxins and pathogens by entrapping them in mucous and then removed from the body via bowel movements. Since secretory IgA and tight junction proteins are made up of amino acids, it is important for protein metabolism to be optimum. When the body isn’t functioning optimally (Vagus nerve impairment, toxins, stress, food sensitivities, etc.) one of the first molecules in the human body that is affected is stomach acid, which is supposed to dissolve any bacteria on food that’s consumed. A state of decreased stomach acid (hypochlorhydria) or absent stomach (achlorhydria) can result in improper amino acid absorption, leading to decreased immunoglobulin and enzyme production. Another important concept with decreased or absent stomach acid is peristalsis, which is the smooth muscle contractions of the digestive tract that moves and mixes the food for digestion. Low/absent stomach acid means that when food is broken down in the stomach into chyme (liquid-like mixture of food consumed), the pH of that chyme is altered. For the digestive tract to have the strongest peristaltic contraction, the chyme must be at a low (acidic) pH. When the pH is higher (more alkaline), the peristaltic contractions are decreased, meaning that leads to decreased food motility (constipation) and poor nutrient absorption. Poor nutrient absorption includes micronutrients not being absorbed to make cofactors for proper enzyme function as well as macronutrients not being absorbed, like fat that would be used to make skin oily to prevent pathogens from infecting the skin. Bringing this whole concept back to diet, eating the correct foods (and avoiding food sensitivities) sets the body up to deal with any sort stressors, and in this case pathogens that can cause illness. With that basic understanding (there’s A LOT more to it than that), we can talk about particular strategies that will help each part of the immune system. Keep in mind everyone has their own unique physiology, and should consult with their functional medicine/nutrition practitioner before starting a regiment. To start off, probably the most important thing a person can do is removing any food sensitives from their diet, and the most common I see in my practice is wheat, dairy, and sugar. Removing food sensitivities from the diet is like removing something that itches the skin, in that it will allow the body to heal since that itch isn’t irritating the tissue in the digestive tract. Not mention that the cells lining the sinuses and digestive tracts are embryological homologues, meaning they are derived from the same embryological tissue, and an irritant to one tissue is an irritant to the other which will then elicit a response from the body to deal with it. So if there is a food sensitivity to wheat in the digestive tract, that will cause a runny nose or increased mucous production in the sinuses, since that is how the digestive tract and sinuses deal with irritants. Items to add include consuming apple cider vinegar (ACV) or supplementing betaine HCL, which will help increase stomach acid that will dissolve bacteria on food, breakdown protein for better absorption, and peristaltic contractions that improve gastrointestinal motility and nutrient absorption. Consuming or supplementing L-glutamine, vitamin A and D, and zinc (zinc carnosine) will help with tight junction formation. Another interesting thing with zinc is that it activates the CD4+ pathway, allowing your T helper cells to develop faster, which is a part of your third line of defense. Vitamin A and D are also involved with the third line of defense by being responsible for TH1/TH2 modulation by upregulating TH3 cells (along with glutathione and butyrate). Vitamin C also helps with T cell maturation by the CD8 pathway. Taking pancreatic enzymes can also help breakdown food and increase nutrient absorption. Probiotics can also be taken to ensure that your gut has healthy bacteria that will benefit you (making short chain fatty acids for colonocytes) rather than unhealthy bacteria that will harm you (making lipopolysaccharides [LPS] that can lead to depression). When it comes to second line of defense, the inflammatory cascade is at the heart of it. Inflammation is necessary to get rid of pathogens as well as to heal tissue, however, too much inflammation can be detrimental (must be just right). The typical US citizen has a pro-inflammatory diet and isn’t consuming enough omega 3 fish oil (anti-inflammatory), which predisposes them to a hyperinflammatory response, which does more harm than good. An anti-inflammatory diet and fish oil supplementation would be recommended, as well as selective pro-resolving modulators (SPMs) that resolve inflammation. If there are questions about a certain topic, be sure to check out my other blogs or consult with a functional medicine/nutrition practitioner about how everything works in your body! Dr. Eric Johnson, Doctor of Chiropractic and Diplomate of the American Clinical Board of Nutrition as well as owner of Functional Wellness and Chiropractic Center in Madison, WI, is a functional medicine doctor that identifies root causes of pain and/or dysfunction. His systems-based, not symptoms-based, approach is a comprehensive, holistic approach that helps identify mental, chemical, and physical stressors that are underlying numerous health conditions. If you are in the Madison, Middleton, Verona, Waunakee area and looking to not only feel better, but live better, contact Dr. Eric at (608) 203-9272. Berkes J Viswanathan VK, Savkovic SD, and Hecht G. Intestinal epithelial responses to enteric pathogens: effects on the tight junction barrier, ion transport, and inflammation. Gut. 2003; 52: 439-451. Gaby A. Nutritional Medicine. Fritz Perlberg Publishing. 2011. Manning J, Mitchell B, Appadurai DA, Shakya A, Pierce LJ, Wang H, Nganga V, Swanson PC, May JM, Tantin D, and Spangrude GJ. Vitamin C promotes maturation of T-cells. Antioxid Redox Signal. 2013 Dec 10; 19(17): 2054-2067. Mantis NJ, Rol N, and Corthesy B. Secretory IgA’s complex roles in immunity and mucosal homeostasis in the gut. Mucosal Immunol. 2011 Nov: 4(6): 603-611. Moticka E. A historical perspective on evidence-based immunology 1st edition. Elsevier. 2015 Nov 27. Paul WE. Fundamental immunology: edition 7. Lippincott Williams & Wilkins. 2012 Dec 3. Resta-Lenert S and Barrett KE. Live probiotics protect intestinal epithelial cells from the effects of infection with enteroinvasive Escherichia coli (EIEC). Gut. 2003; 52: 988-997. Rice JM, Zweifach A, and Lynes MA. Metallothionein regulates intracellular zinc signaling during CD4+ T cell activation. BMC Immunol. 2016; 17: 13. Teodorczyk-Injeyan JA, Injeyan HS, and Ruegg R. Spinal manipulative therapy reduces inflammatory cytokines but not substance P production in normal subjects. J Manip Physiol Ther. 2006 Jan; 29(1): 14-21. Van Breda WM, Van Breda JM. A Comparative Study Of The Health Status Of Children Raised Under The Health Care Models Of Chiropractic & Allopathic Medicine. J Chiropr Res. 1989; 101-103.